Hey Bronze bosses! With the holiday season in full swing, it’s important to have the tools that will power your marketing and promotional objectives for your business. 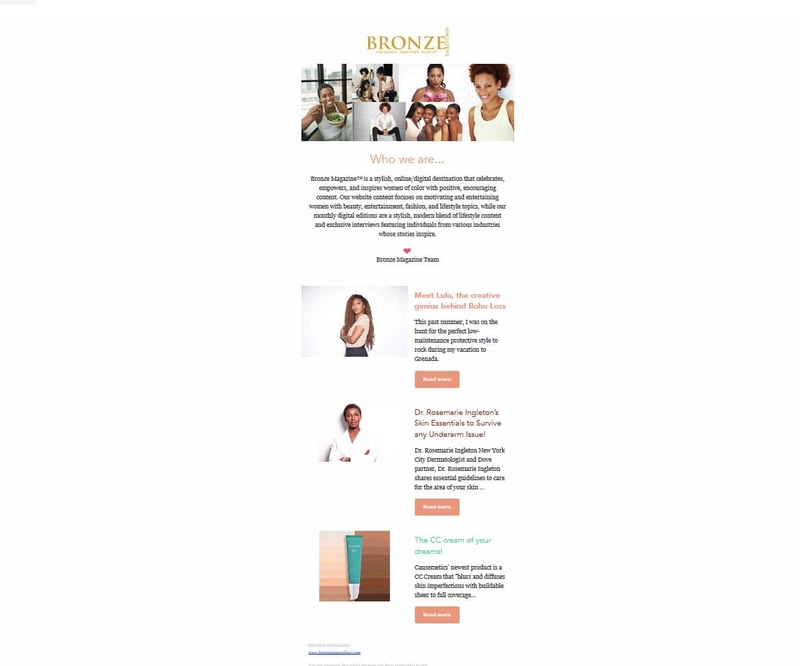 As a publisher, I am always searching for new and innovative ways to create compelling and engaging marketing materials that will appeal to Bronze readers, therefore, when I was asked to try Campaign Monitor to organize my next email campaign I jumped at the chance. Here’s a brief overview of my overall experience using the platform. Campaign Monitor is an email marketing program that helps businesses worldwide create memorable emails for their customers and subscribers. They offer three monthly pricing plans: Basic, Unlimited and Premier. The price you pay under each plan is determined on a sliding scale based on the email list size you are sending to. 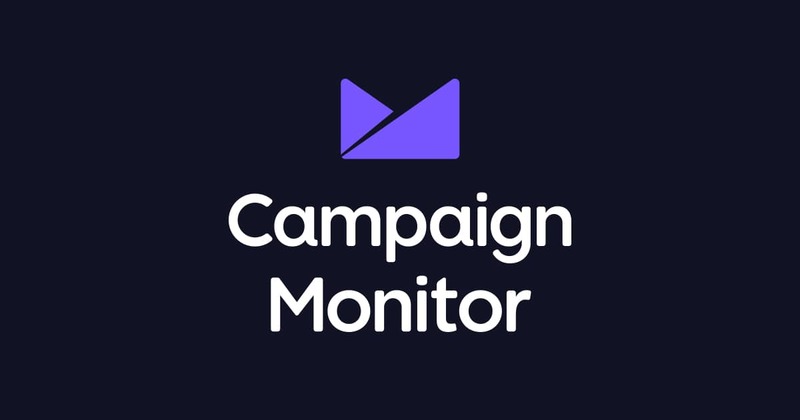 When you first sign up with the Campaign Monitor site, they provide you with a six-step action list to complete to help keep you on track up until you send your first email. 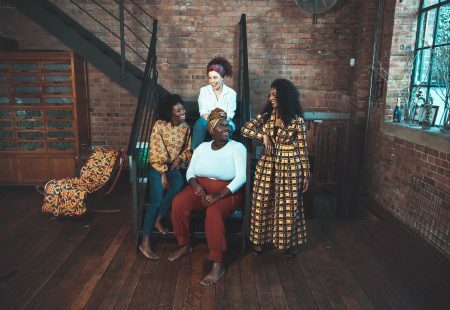 I particularly liked the “first steps” video, which introduces you to the platform to help you get up and running. I thought this was a nice touch because it introduced me as a new user to the site, helping me feel more comfortable with navigating around the process of creating a campaign from start to finish. I pretty much found my way easily through all six steps of my action list, except for when I reached the step that required authenticating my site’s domain. 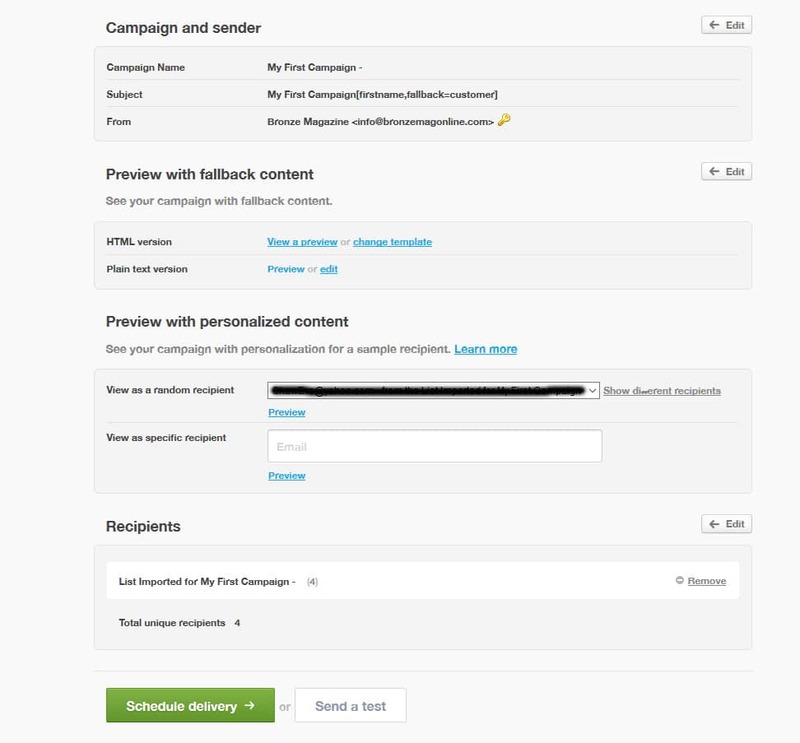 This part is pretty much standard with most email marketing campaign platforms, where you can set up custom DKIM authentication to help ensure your campaigns reach your recipients’ inboxes (not considered spam) and to make your campaign look more professional. It requires placing a small bit of code into your own site’s DNS record via your web host provider. This is the only step that requires you to be a bit tech savvy, and if you are not, please make sure you find someone who is that can assist you. Although I followed the authentication steps exactly, I ran into a small issue that prevented the authentication process from being validated by Campaign Monitor. Long story short, the issue was a little frustrating for me at first because I couldn’t figure out went gone wrong but then I filled out a support ticket and a member of the Campaign Monitor support team reached out to me via email about an hour later. I was very impressed with their quick response time and resolution to my issue. It turns out, I did everything correctly, it just takes some sites more times than others to propogate the changes. One of my favorite parts of using any email marketing platform is designing the content for my campaign. I’m a very visual person, so I am drawn to beautiful images and bold graphics. Campaign Monitor has attractive templates, although I felt they could offer a more diverse selection. I found their drag and drop email interface with customization tools easy to use. For my first campaign, I did a test run using one of their newsletter templates (above image). The process of designing my first email was fairly quick and easy. Sending my first email campaign was easy as well. From the campaign snapshot page, prior to sending I was allowed to view my campaign and sender information, preview my campaign in both HTML and plain text version, test and preview my campaign content in multiple ways, to ensure it displays as expected in my subscribers’ inboxes, view my imported recipient list and finally, schedule my email campaign to be delivered or send a test email. My overall experience using Campaign Monitor was a good one. 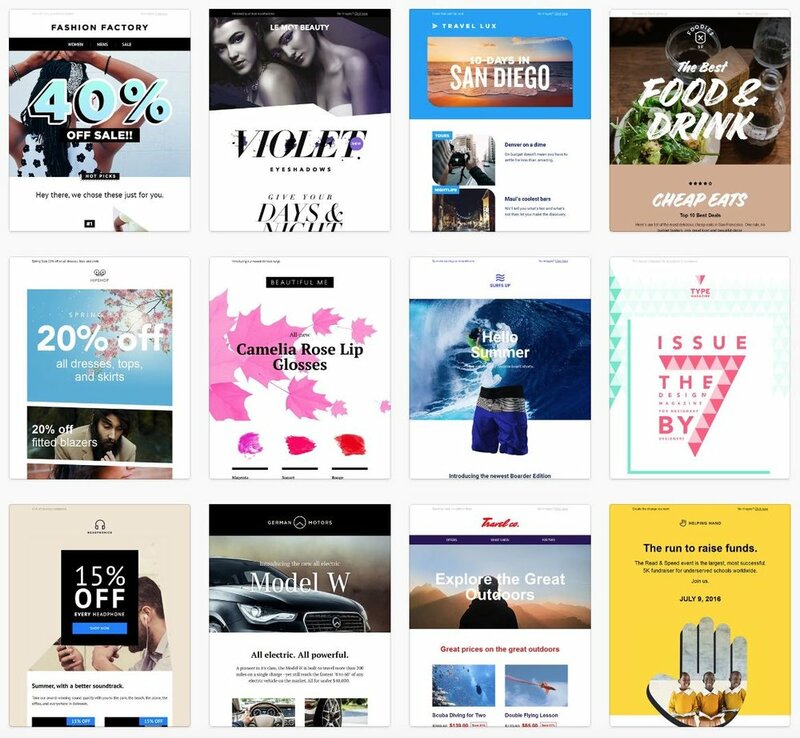 If you are one who is looking for a straightforward, user-friendly process for designing an email marketing campaign, then I would recommend using this platform. 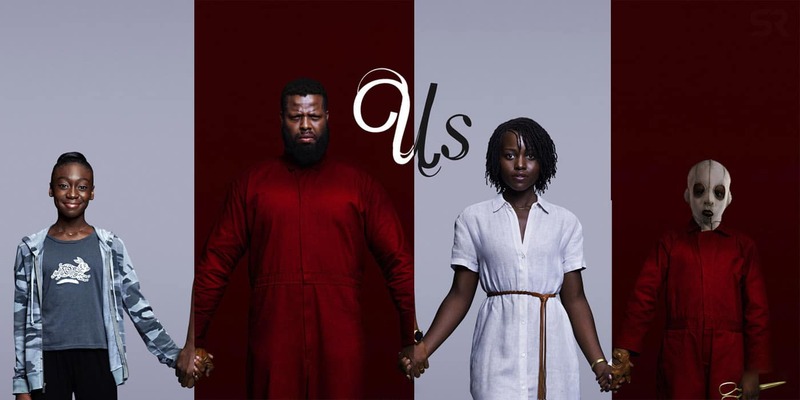 This post was created in partnership with Campaign Monitor, however, the opinions expressed in this review are the editor’s own.